The Vortexx Homeowner 2500 PSI Pressure Washer is built for that serious do-it-yourself mentality. If your Saturday morning agenda occasionally includes items like power washing the siding on the house or cleaning the garage floor, then this is the Vortexx for you. 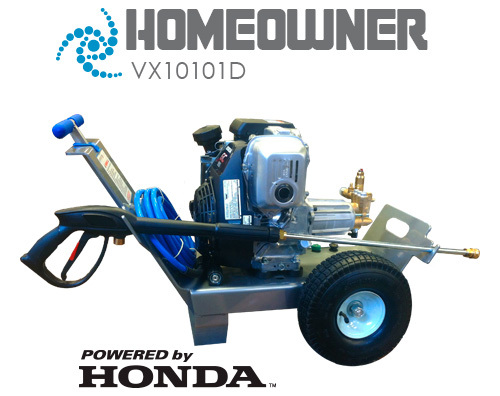 It’s compact and light weight aluminum design means it is easy to store when you don’t need it, while it’s reliable Honda Engine and durable AR pump will always be ready when you are. Vortexx’s commitment to only use hi-grade materials also means you shouldn’t expect to find rust stains or random bolts on the garage floor for many years to come.